Had the composer Respighi visited Chicago, he would have composed a sequel to his “Fountains of Rome” tone poem. Join art historian Jeff Mishur on a guided tour of spectacular fountains in several sections of the city. 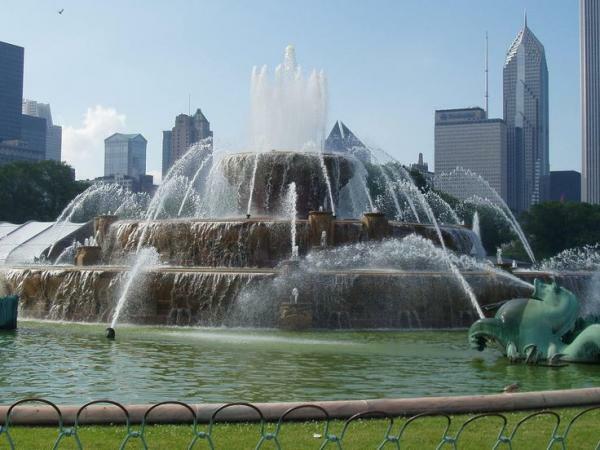 Highlights include Buckingham Fountain, Crown Fountain, Drexel Fountain, Fountain of Time, Fountain of the Great Lakes, and many more. Jeff will meet us in the city and make commentary at each stop on the day’s itinerary. Attendees will gather at Fremont Library in the morning, and will tour Chicago via motorcoach. This is a walking tour. Please plan accordingly. Lunch will not be provided, but we will stop at a food court where people can purchase lunch; attendees may bring a packed lunch if preferred. In-person registration is required; payment of $50 per person is due at registration. Registration for Fremont cardholders will open on Saturday, May 5th. The cardholder must be present to book, and may purchase no more than two seats. Guests do not need a Fremont library card. Attendees age 13-17 must be accompanied by a parent or legal guardian who is a Fremont cardholder. No attendees below age 13 will be permitted. Registration for non-Fremont cardholders will open on Tuesday, May 8th for any remaining seats.